Your excellencies, fellow laureates, my agent Jackie Kaiser, my publisher and editor Iris Tulphome, and especially my partner Dr. Helen Hoy. This is truly extraordinary. The Governor General’s award for Fiction. Even now it’s difficult to believe. I am a storyteller. And in that capacity, I like to imagine that I’ve been a strong advocate for Aboriginal rights and a minor voice in the struggle for planetary sanity. Certainly these are themes that run through my work, passions that fire my life. This probably makes me sound somewhat political. Politics, after all, has never been the sole domain of politicians any more than the telling of stories has been the exclusive landscape of artists. When future generations tell their stories about us, our legacy will not be the wealth we accumulated nor the technologies we developed to comfort and amuse one another. Our legacy will be our example. How we comported ourselves in our communities. How we conducted ourselves in the world. So, as we live our lives, we might wish to ask ourselves the question . . . will this be a story we want our children to hear? Nicholas Crisp came by the next morning. “We used to sit on the ground,” said Crisp. “And we used to walk on all fours. “And for all the good truth will do us, we were happier then.” Crisp walked to the edge of the deck. “Have ye a name somewhere about your person? Nicholas shook his head with delight. Crisp’s eyes flashed in the fading light and his lips curled away from yellowing teeth. 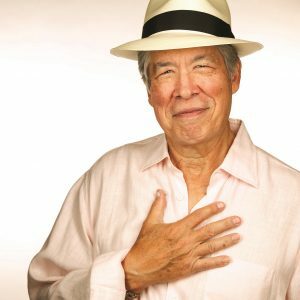 Thomas King, CM, novelist, short-story writer, essayist, screenwriter, photographer (born 24 April 1943 in Roseville, California). A Member of the Order of Canada, King is often described as one of the finest contemporary Aboriginal writers in North America.